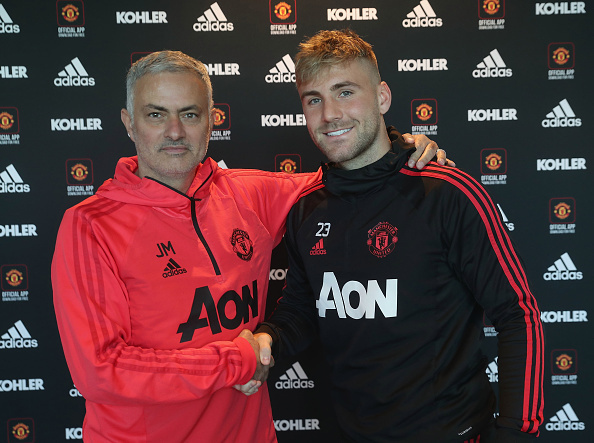 Manchester United left back Luke Shaw has signed a new deal with his club till 2023 after getting back in favor with coach Jose Mourinho. According to report, Manchester United says Luke Shaw has the option of extending his deal by a further 12 months. The defender was the world most expensive teenage player when he moved to Manchester United for $46 million in 2014, Shaw has been struggling with injury problems over the last two seasons and also has been publicly rebuked for his performances by Mourinho. But, Shaw has been one of the few players to impress at United in its underwhelming start to this season and he recently got a call-up by England for the first time in 18 months. "I am still very young with a lot more to learn and I can't wait to continue my progress under Jose Mourinho."